Vincent D’Orazio married Angela Grande, a first generation Italian American, in NY. 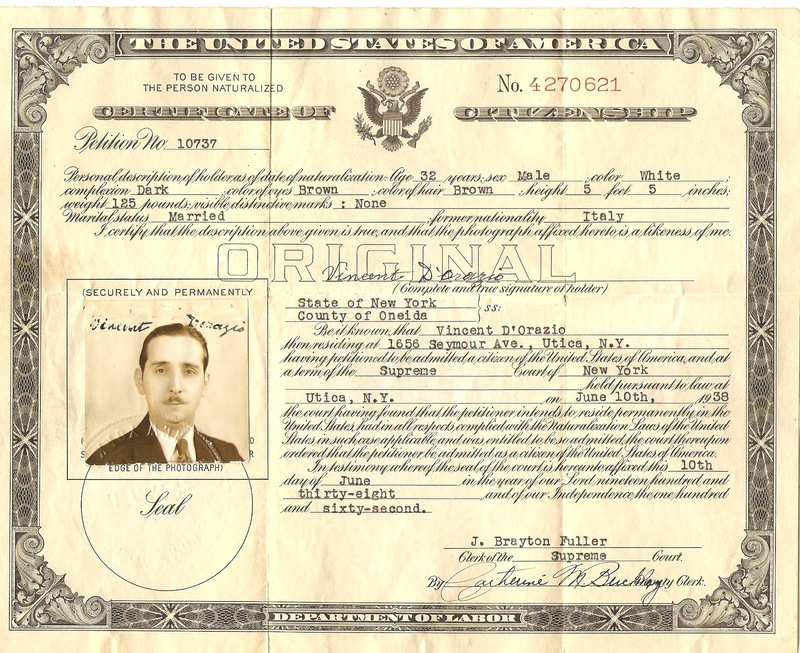 They had one child, my grandfather Alfonse D’Orazio. Eventually down the line, my branch of the family made their way to Tucson, Arizona and I was born. The family tree was not so simple though. Vincent’s father Alfonse had a brother named Frederico. Frederico’s line resulted in the Rochester branch of the family and the Utica branch. These cousins were somewhat of a mystery to me until recently. My mom had met some of them and tried to explain the family tree to me, but without a face to put to the name it was hard to keep it straight in my mind. A page from the family tree book showing the D’Orazio lineage. Preserving the knowledge of our ancestor’s was and is something my mom is passionate about. She spent a year and a half going through photographs with her parents and putting together a family tree book of my Grandpa Al’s side of the family. 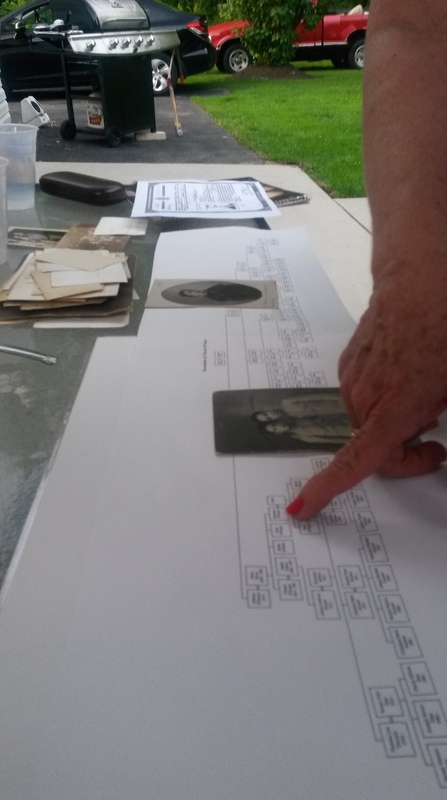 It is complete with charts and captioned photos covering several generations. 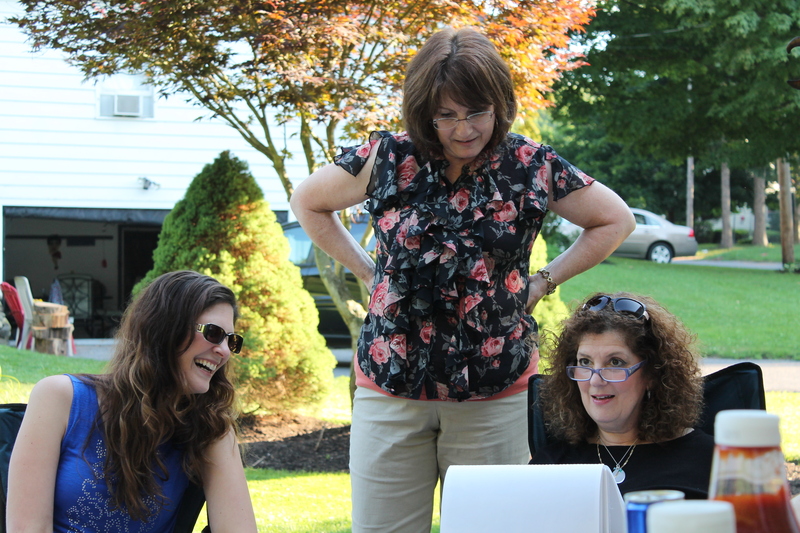 My mom (center) showing our Utica cousins (Gina and Doreen) the family tree book. Because I was accepted into the University of Rochester’s REU program I finally had a chance to meet my New York cousins. Finally, they could be real people to me instead of simple names on a page. They could be family in my heart instead of just stories in my head. I did not choose U of R because my family was here, but it surely has been the greatest perk of being in Rochester. Angelo and Beatrice D’Orazio are the grandparents of the Rochester cousins. They are about my Grandpa Al’s age, and have come to visit him and my Grandma Rosemary on a couple of occasions (none that I was there for). I called up Angelo – or ‘Ang’ as he likes to go by – in my first week at U of R. He was delighted to hear from me and invited me to come over that upcoming Sunday afternoon. When the day came, he rolled up in front of my dorm with his son-in-law John in the driver’s seat. What a sweet man Angelo is. I got a sense of his good nature from our brief interaction over the phone, but seeing that smile on his face when he saw me was on a different level. I found it interesting how being family allowed me to trust them so much. On virtually no other occasion would I climb into a van with two adult men who were strangers to me. However, since I was Al’s granddaughter, I knew they would take good care of me. Being with them made me so proud and grateful to be Italian. I met so many of them that day. Three generations of aunts and uncles and cousins and grandparents all gathered together to share food and conversation. Their appreciation of family was so evident. I couldn’t help but smile at it all. I loved their hospitality and they way they talked and the way they welcomed me into their lives. They instantly became a part of me. And mamma mia did they feed me well! I was so stuffed by the end of the evening I could hardly believe it. I have seen them a couple times since then (once with my parents and my brother) and each time is as wonderful as the last. 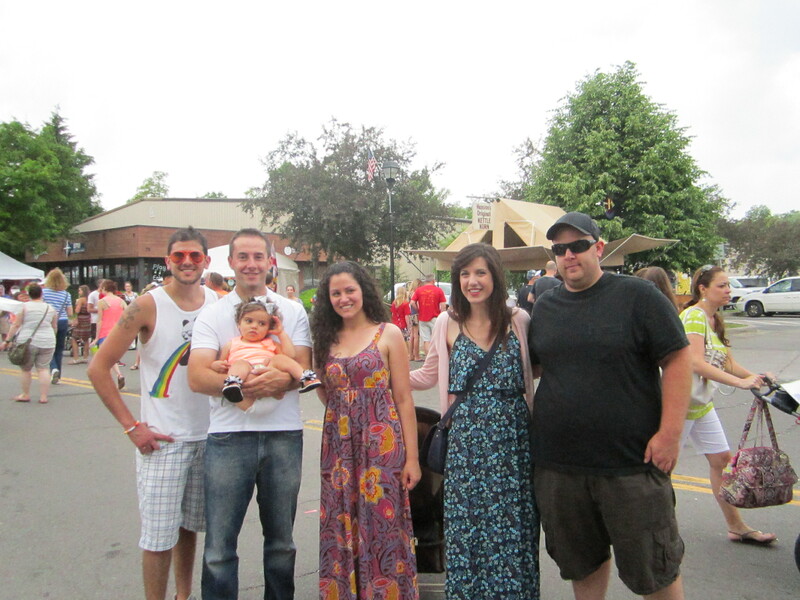 In addition to meeting my Rochester cousins, I have also had the great pleasure of meeting my Utica cousins. My mom had spent more time with this branch of the family growing up. She spoke so fondly of them all and was excited to see them as well. 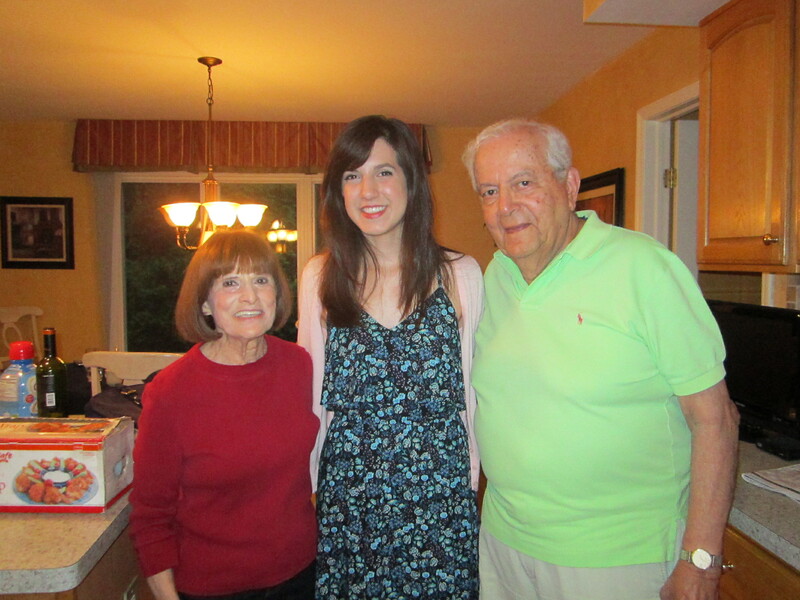 My parents (joined soon after by my brother) recently flew out to New York to see the cousins and me. 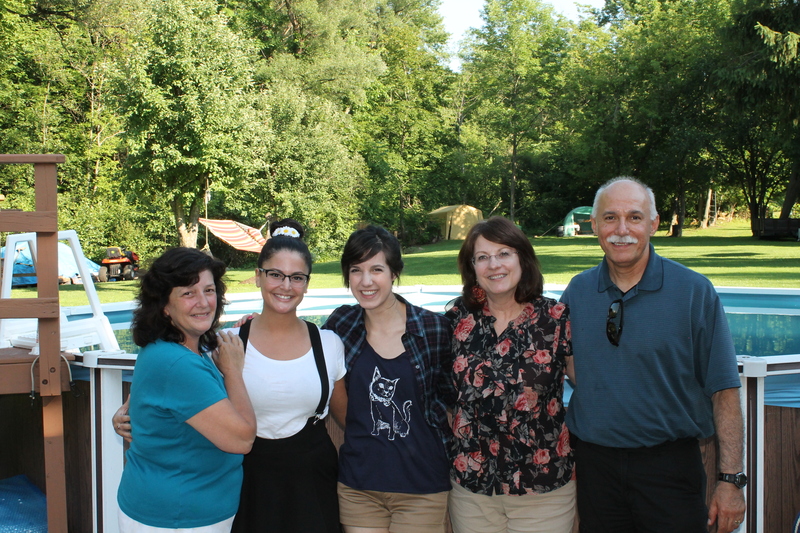 The four of us drove from Syracuse – where my brother’s flight came in – to Utica. We passed endless stretches of trees on our journey. I can hardly get used to such a sight after living in a desert for two decades. Sammy Scampone was our host that day. My mom couldn’t wait to see him again. We pulled up to his beautiful home and he walked over to greet us. He is a handsome man, tan and bald. His smile could light up a room. His speech and mannerisms give away his Italian roots immediately. And Sammy is a chef so of course we were filled with delicious food. His sisters and their families were also present. Frannie in particular took a liking to me. We bonded over our shared love for singing, and I think I reminded her of her daughter, Frankie. At the end of it all I was very sad to say goodbye. I felt a little choked up as we exchanged hugs and I realized it could be years before I see them again. In just that one evening they had occupied a special place in my heart. 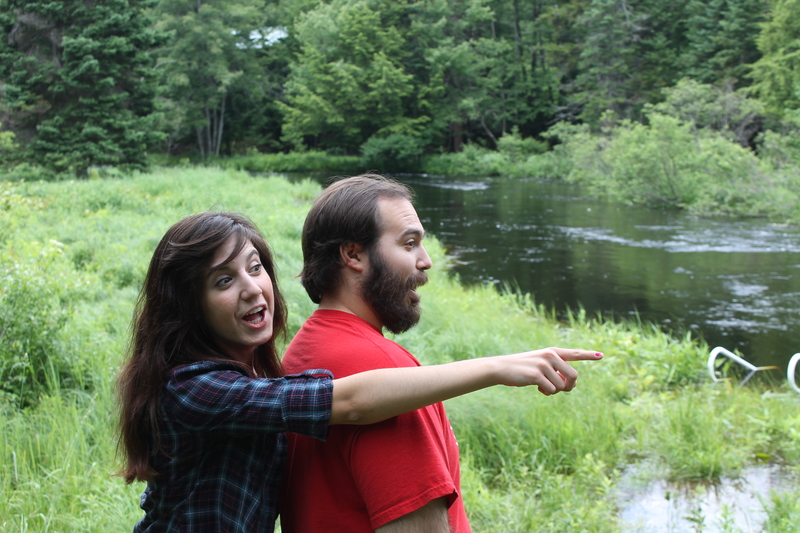 This entry was posted in College Life, Research and tagged cousins, REU, Rochester, UofR, Utica. Bookmark the permalink. Stephanie, it is Doreen. thank you Honey for such a wonderful tribute. You’re welcome, Doreen! Thank you for giving us such love during our visit.